Off The Shelf 2015 Kicks Off! 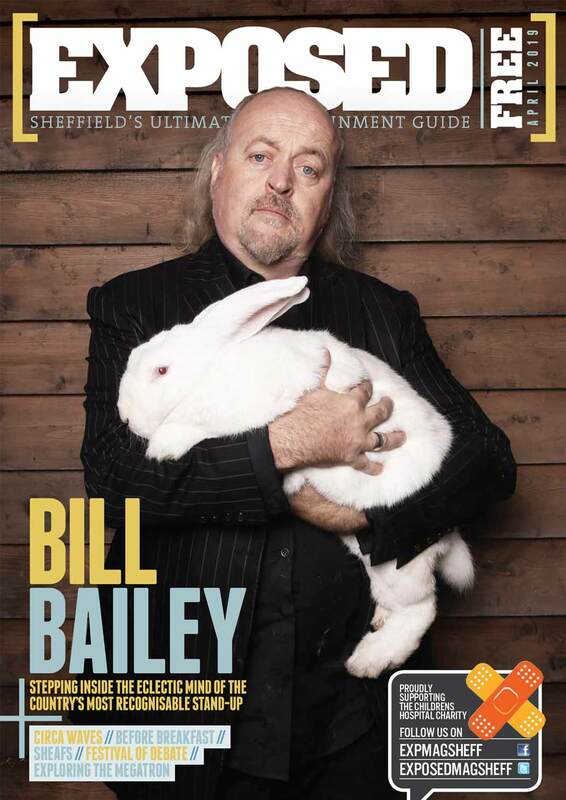 As Sheffield’s own Festival of Words celebrates it’s 24th year running, Exposed attended the launch in the Adelphi Suite of the Crucible Theatre to see what this year’s Off The Shelf has to offer. The Off The Shelf Festival is championed for giving a voice to an impressively diverse range of wordsmiths, both local and from around the country. Hosting the launch was Cllr Isobel Bowler, Cabinet Member for Neighborhoods, who had the esteemed honour of welcoming guests and introducing four speakers: British writer and political activist Owen Jones, acclaimed author Sunjeev Sahota, poet Mike Garry and singer songwriter Nat Johnson. First at the podium was Sunjeev Sahota, the quietly spoken novelist responsible for two compelling books, ‘Ours are the Streets’ and ‘The Year of the Runaways’. 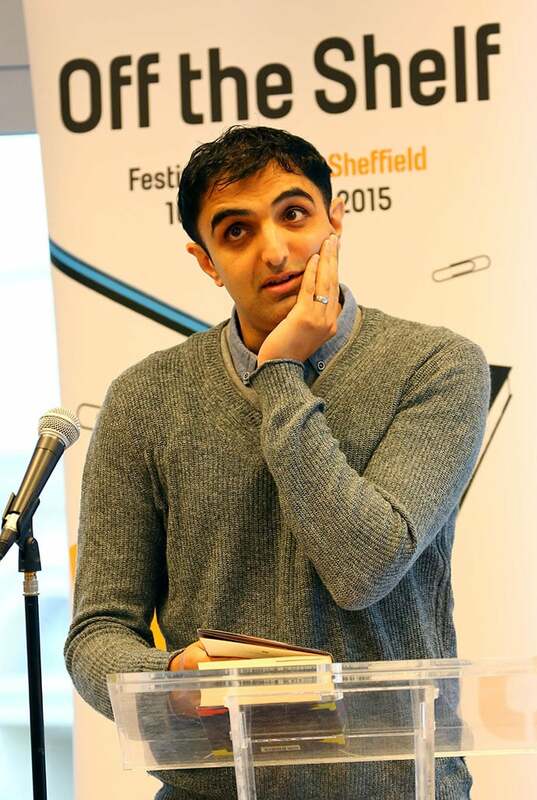 Sunjeev treated us to a short passage from his latest work, ‘The Year of The Runaways’, providing a taste of the emotional resonance found in this tale of thirteen young Indian men coming to Sheffield in search of a new life. Next up was Mike Garry, former librarian turned enigmatic poet. The man is renowned for his gritty, hard-hitting poetry and displays a theatrical yet very natural style. ‘God Is Manc’, ‘Saint Anthony’ and ‘Pay As You Go’ are just a few examples of his poems. Owen Jones, guest curator for 2015, followed these acts with a rousing and inspirational talk examining British politics and the media. As a journalist, Owen offered high praise to Off The Shelf for giving writers a chance to speak their minds. Last but not least was Sheffield songstress Nat Johnson, who with guitar in hand sang out two beautiful tracks. One of these was ‘Sheffield Shanty’, an affectionate homage to the Steel City written during Nat’s time as a member of Monkey Swallows The Universe. 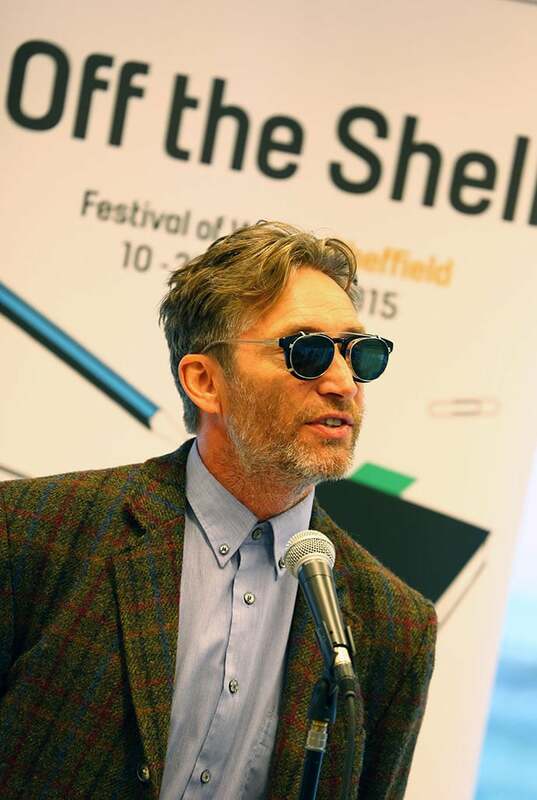 As stated by Councillor Bowler, ‘Off the Shelf continues to go from strength to strength’ and the 2015 festival promises to be nothing short of exceptional. You can check out a full list of events at www.offtheshelf.org.uk.